It turns out the emperor has no clothes after all. Although Conservatives like to drone on like robots about how Stephen Harper is a “steady hand on the wheel” of the economy, that myth is increasingly hard to square with reality. 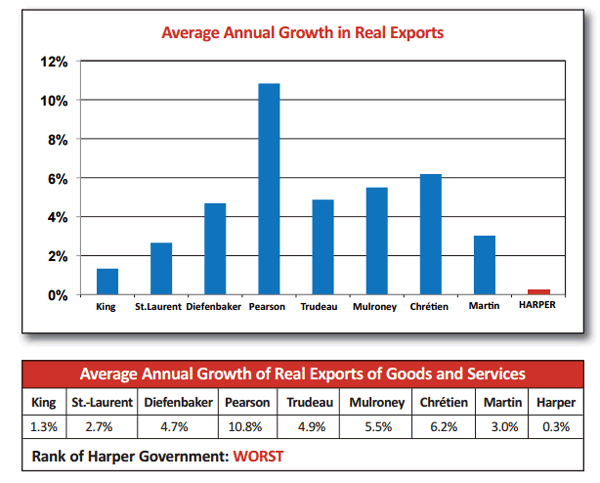 Not only does a recent poll suggest Harper’s reputation as a competent manager of the economy has plummeted, a new analysis shows Harper with the worst economic record of any Canadian Prime Minister since the end of the Second World War. The report, authored by Unifor economists Jim Stanford and Jordan Brennan, crunches the numbers on Canada’s nine Prime Ministers between 1946 and today on issues relating to work, production, distribution and debt, and ranks each according to 16 economic indicators. The results? On 13 of the 16 indicators, Harper ranks dead last or second last. 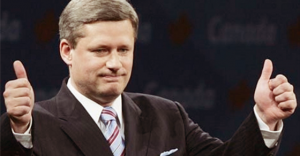 In fact, Harper does not rank higher than sixth on any single indicator. 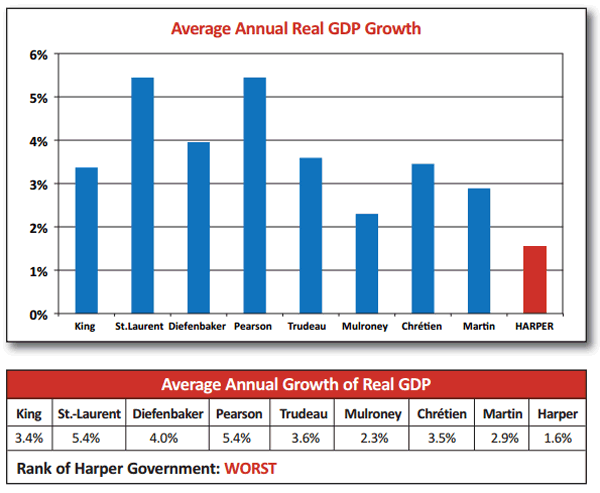 With an average annual real GDP growth rate of 1.6%, under Stephen Harper’s tenure the Canadian economy grew by nearly half the rate it did for his predecessors in the decade before he took office. It was nearly three times worse than Canada’s growth rate during the 1950s and 1960s. 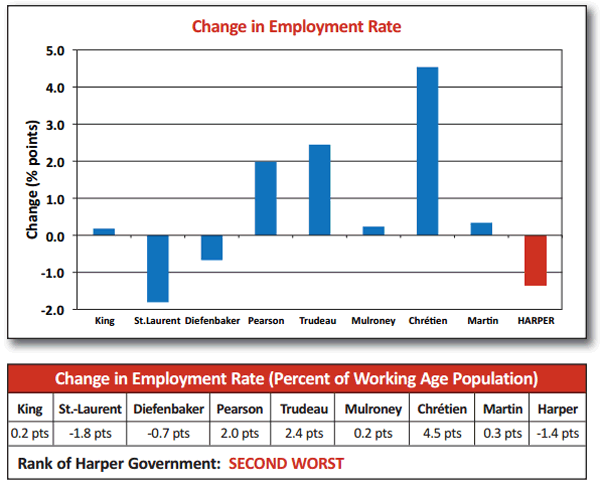 As job creation failed to keep pace with population growth, for the very first time since St. Laurent left office in 1957, Canada saw the employment rate decline under Harper. No wonder Canada keeps experiencing huge trade deficits. 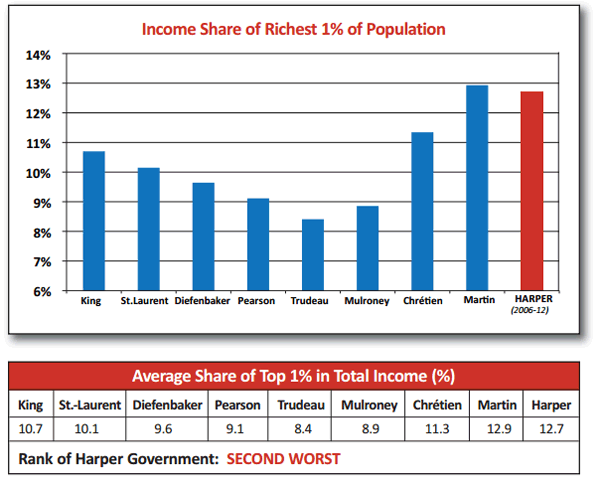 Not as good as the days under Paul Martin when the share of total income for the top 1% of earners was 12.9%, but Harper places just behind his predecessor at a 12.7% share. As Stanford explains, assuming wealth is distributed fairly, when GDP grows faster than population growth, then GDP per capita increases and, in theory, that increases everyone’s living standards. 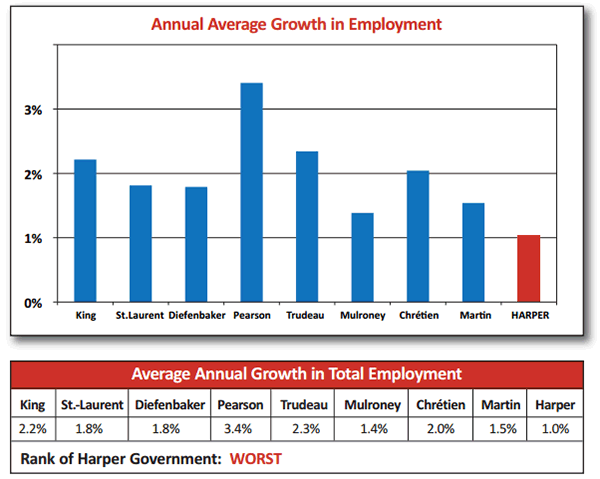 Not so much under Harper. 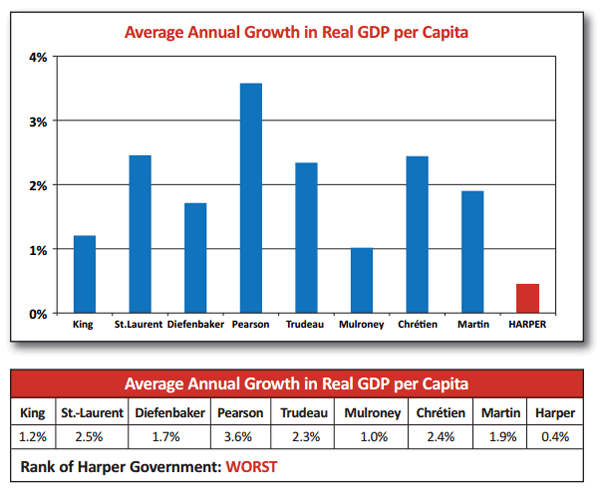 On 14 separate occasions since the end of the Second World War, real GDP per capita grew more in one single year than it has during Harper’s entire time as Prime Minister. According to Stanford, Lester B. Pearson’s economic performance (1963-68) ranks highest while Canada’s three Conservative Prime Ministers in the postwar era (Harper, Mulroney and Diefenbaker) ranked among the four lowest. 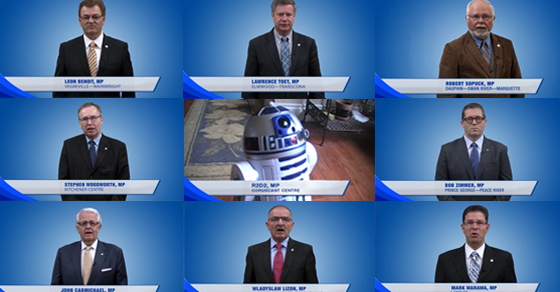 Critics of Stephen Harper’s government have called his Conservative MPs mindless robots for years.